Dog bite accidents are governed by the general principles of negligence and premises liability. The damages in these cases are governed by the personal injury damages section on this site. Dog owners are responsible for keeping their dogs supervised and restrained. In many counties and cities in Maryland there is a leash law that requires the dog to be on a leash in many circumstances. In most counties, the dog must be restrained or confined within a fenced in area. Even inside a house, a dog needs to be restrained if an invitee is in the house. In the event a person is attacked by a dog in the general public, and is injured, there is a good likelihood that this is an actionable case against the dog owner. The case gets even stronger if the dog has bitten or attacked someone on a prior occasion. Similarly, just having a dog on a leash may not be sufficient. It is presumed that the leash suggests a dog must be under the control of the owner. If the dog is wearing a leash yet the owner is negligent in how he or she controls the dog (or does not control), there is a good likelihood that the injured party would prevail on a case. Many dog bite injuries can cause severe scarring and extensive medical treatment as well as lost wages. Because one is never sure if the dog has been properly inoculated, any time a dog bites someone that person should be seen on an emergency basis. Rabies shots are very painful so prompt attention should also be taken to see if the dog has proper papers reflecting up to date shots. If not, the series of rabies shots should be done. It is also important to see that the dog is quarantined for a period of time. This is usually done by the animal control commission of the respective jurisdiction. If the dog has a history of attacking people in public, then there could be a case made for putting the dog down. Unfortunately, significant scarring can develop after a dog bite. Depending upon the person, keloid scarring can result which often is quite unsightly. Puncture wounds and tearing of the skin can cause very ugly scarring which may need dermabrasion treatment (which is like using fine sandpaper on the scar) or plastic surgery. 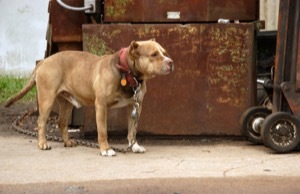 Neighbors, postal workers, delivery persons are often a good point of initial contact to see if the dog has bitten anyone in the past. Once that is established, the case becomes even stronger. Homeowner’s insurance usually covers these type of injuries providing the dog owner has such coverage. Usually there is such coverage in the dog owner also owns a home. If there is only a renter who is the dog owner, insurance coverage becomes more problematical. Generally, there are two theories of recovery for a claim against the owner of a domestic animal. The first theory is known as strict liability. The owner of a domestic animal is responsible for injuries or damages caused by that animal if the owner knew, or by the use of reasonable care should have known, that the animal had a propensity, inclination, or tendency to engage in the particular conduct that caused the injuries or damages. This might be particularly applicable to a pit bull or a rotweiller. The second theory is a simple negligence theory. The owner of an animal will be held liable for damage proximately caused by the animal if the owner exercised ineffective control of the animal in a situation where it would reasonably be expected that injury could occur. In determining the necessary degree of control, the past behavior of the animal and foreseeability of the injuries should be considered.